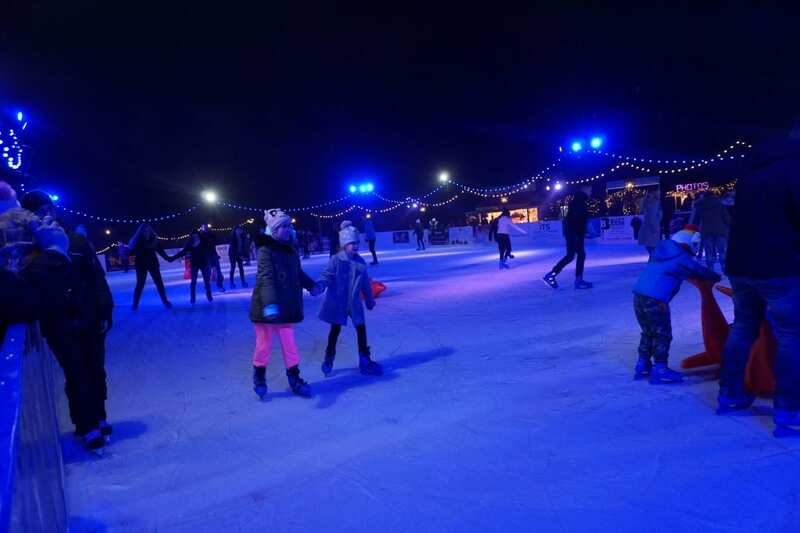 Home » celebrations » Celebrities » children » Christmas » Coming Soon » Comments » Countries » Europe » Featured Articles » tours » Travel » UK » Skating in Tunbridge Wells. 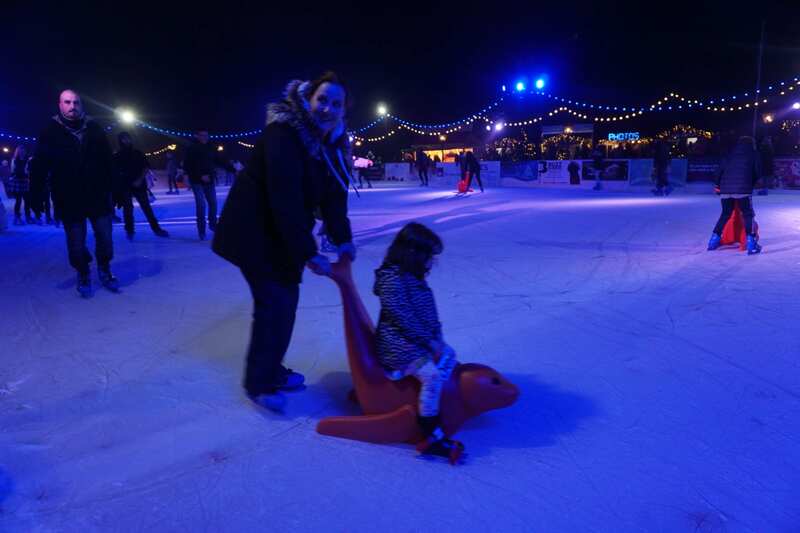 As Christmas approaches, parkland areas across the UK are magically transformed into ice rinks. Lights are draped across fences and trees, wooden booths are erected, selling food and Christmas presents, and entertainment is provided all day. 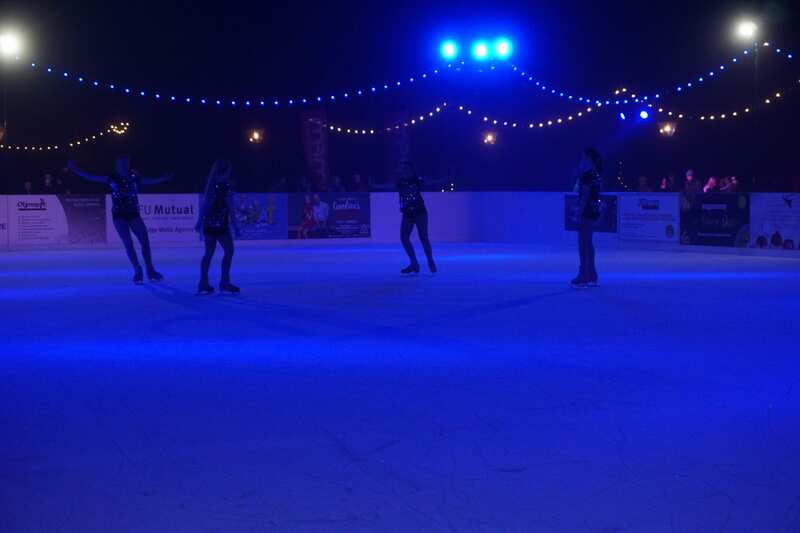 We went to the opening of the Tunbridge Wells rink in Calverley Grounds. It’s a beautiful setting, and so bright that I could read a leaflet outside. It started with a Rock Choir, which was a great introduction to the evening. Courtney, Chloe, Jasmine and Abbie from the Gillingham Planet Ice put on an ice dancing display, and our little granddaughter Isabella was fascinated, and couldn’t wait to get on the ice and have a go. sang Lulu’s Shout! while her four-year-old son danced up and down behind her, which was quite amusing. I’m not sure if she was aware of it! Claire then announced that the Assembly Hall is holding two Relaxed Performances of the Pantomime. This is for people with autism and other sensory communication disorders. The lights are left on and then noise level is lower. Relaxed Dates are Tuesday 11th December 10.30am and Sunday 30th December 5pm. Contact the Assembly Hall if you want further dates and details. 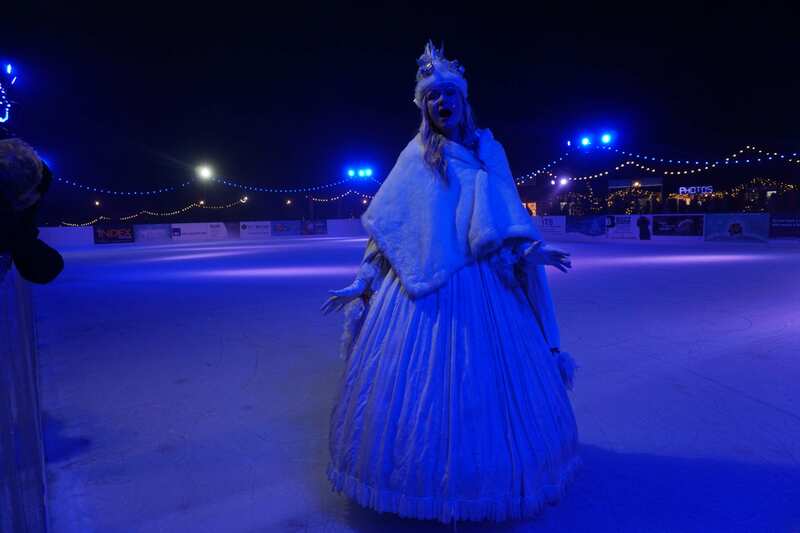 The Snow Queen glided up and down, singing opera, which isn’t easy while skating on ice. And then it was the public’s turn, and they all enthusiastically dashed onto the ice. 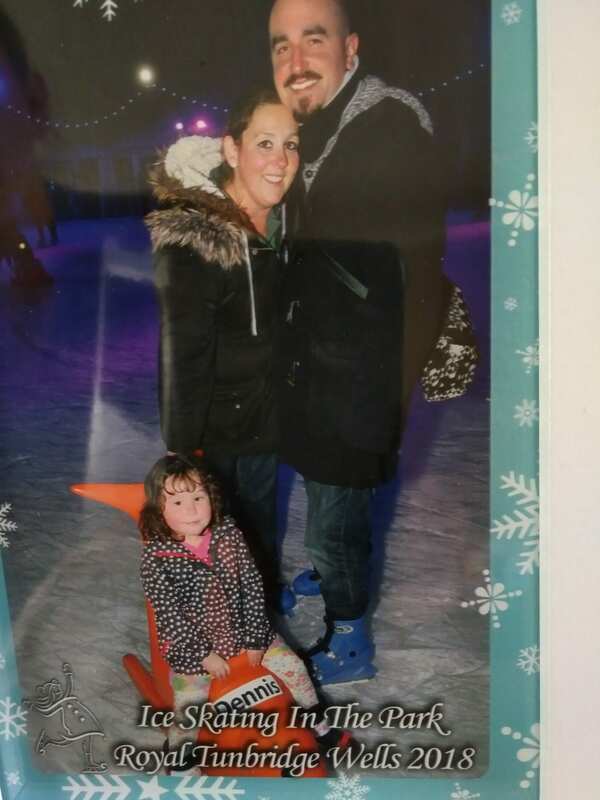 There are small plastic seals for children to sit on while their parents push them round. The skates, which you can hire, fit over your shoes, and they must be a lot better than the old ones used to be, because I didn’t see anyone fall over! It was a great, fun evening, highly recommended. One caution; if you pay in the car park with your card, you have to cancel it when you leave. We didn’t know that, and when we went to check the meter, we had a queue of cars behind us and several waiting to pull out of parking spaces, and it wasn’t at all clear on the meter. So we’re waiting to find out what the all day charge is. I’ll phone the Council tomorrow.